Olympus OM-D EM-1 MkII + Panasonic 8mm f3.5 fisheye. Inon strobes, Nauticam housing. 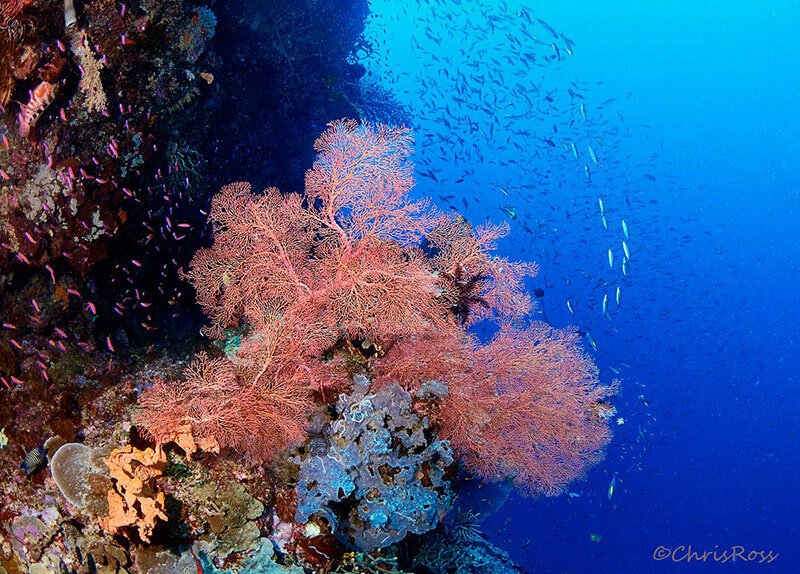 An extraordinary underwater scene - beautiful capture of the sea fan. Beautiful colors, crisp image. 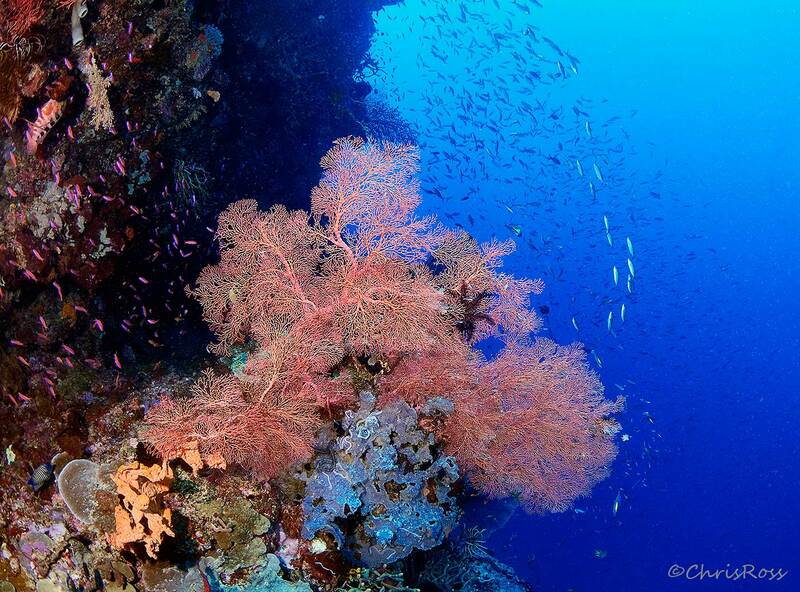 Nice capture of sea fan. Gorgeous. Beautiful colors and subjects, great comp. For me, a very calming image. Really nice wall image Chris. Nice strobe work. Wonderful view- especially enlarged with such great detail.